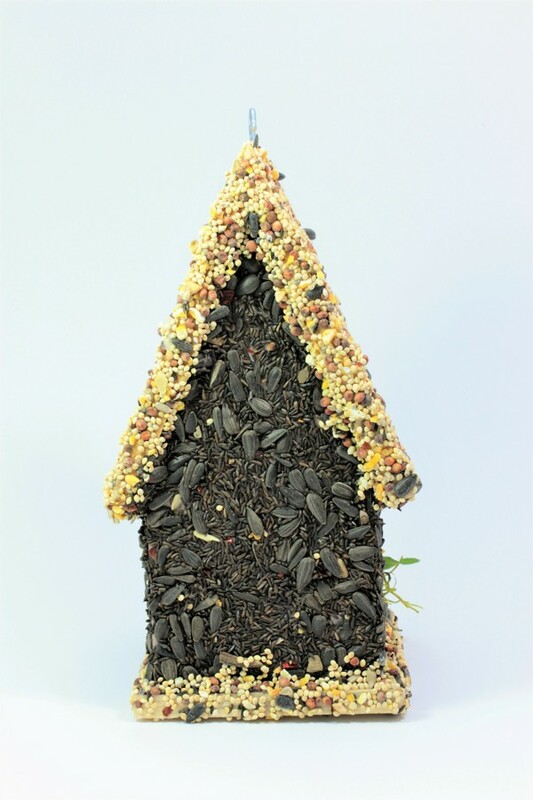 Thistle (Nyler) is valued for its high nutritional value and special appeal to Finches and Song Birds. Squirrels are less attracted to Nyler seed. 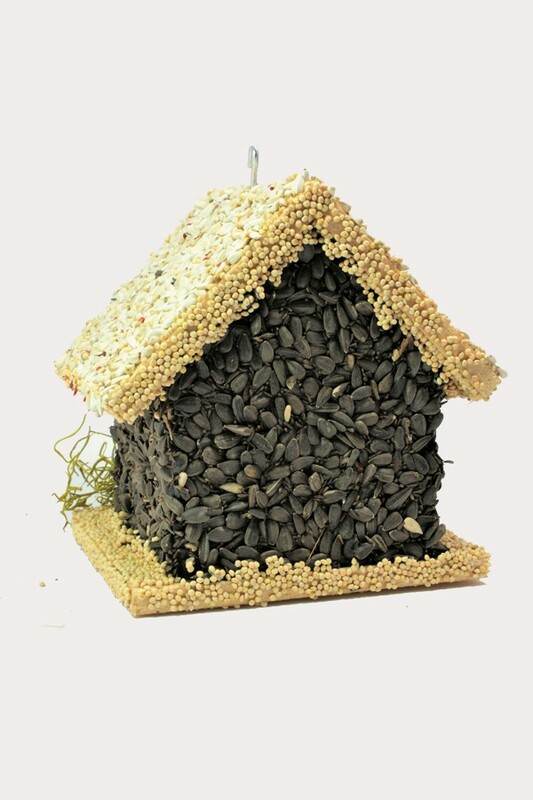 Black Oil Sunflower is the most desired seed by birds. The high oil content makes it popular with birds and provides the heat and energy needed to live. Black oil sunflower has a softer shell than other stripped sunflower seeds, allowing smaller birds to open the shell more easily. It attracts Cardinals, Chickadees, Nuthatches and Finches. Squirrels are less attracted to black oil sunflower seed. Millet is lower in fat and very nutritious. 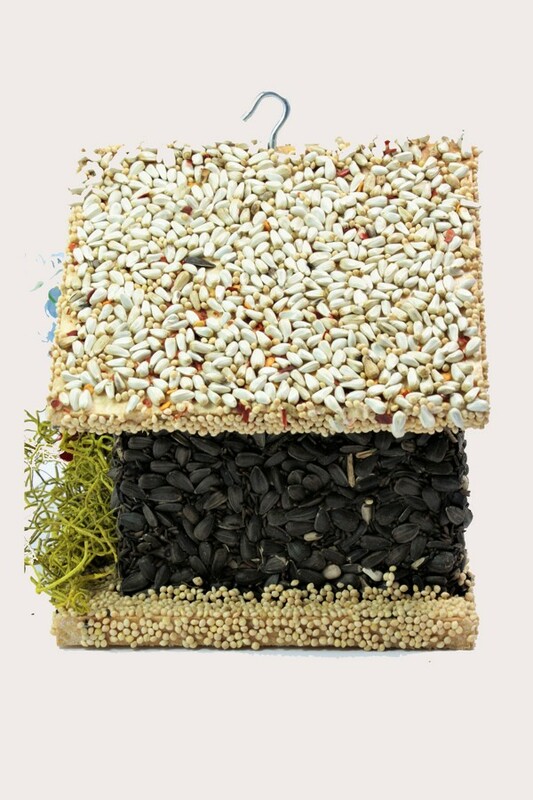 Millet is a grass and is one of the most nutritious grains for birds. 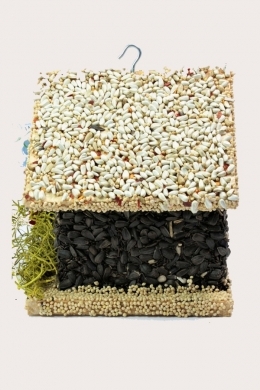 Finches especially like millet due to its small size and easy consumability. Red Milo is a favorite of Doves. 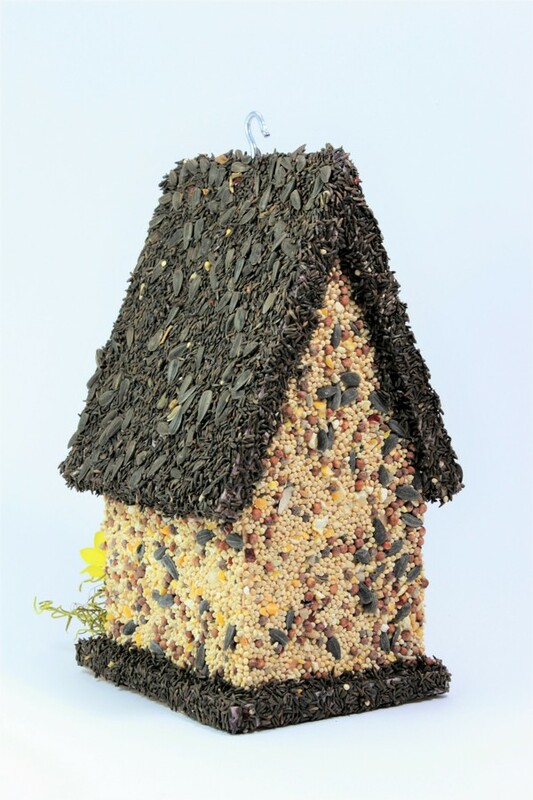 Cracked Corn is a good source of both oil and starch and will attract Starlings. Whole Wheat is the leading source of vegetable protein. Quality wheat is a favorite of Sparrows and Pigeons. 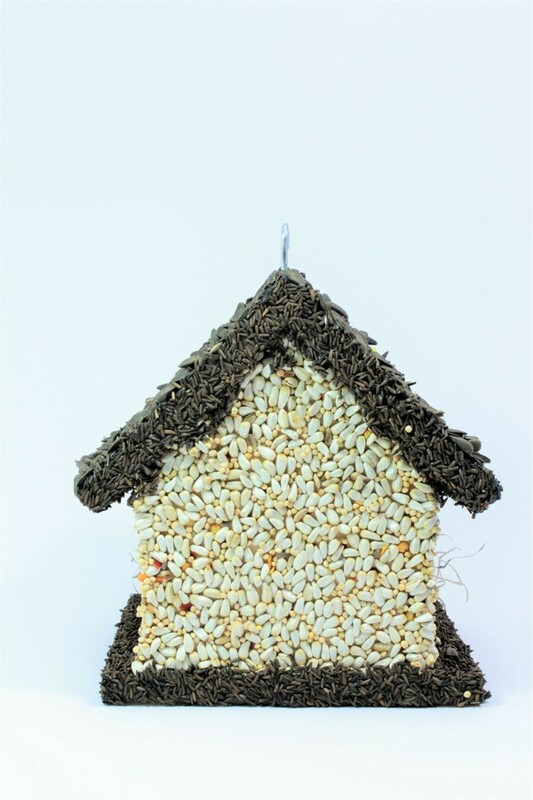 Peanuts* are popular with birds for their hgih protein and oil content. 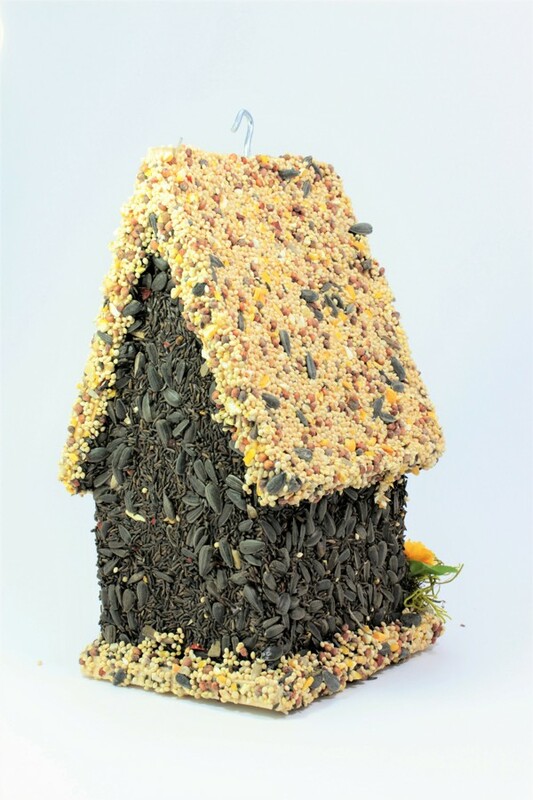 They are ideal as bird feed as they resist spoiling for a long time. 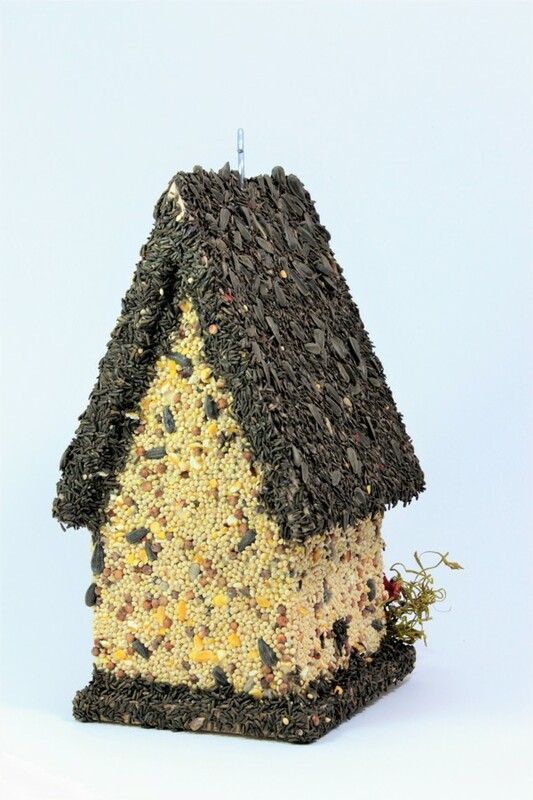 Peanuts attract Blue jays, Chickadees, Woodpeckers and Cardinals. 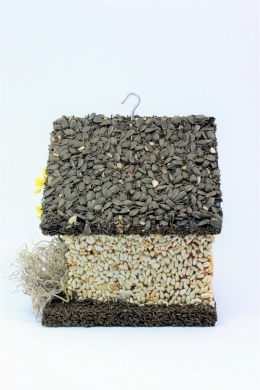 Sunflower Seed has a higher percentage of meat and is a very nutritious source of high quality protein. Sunflower seeds will disappear first on your edible birdhouse. 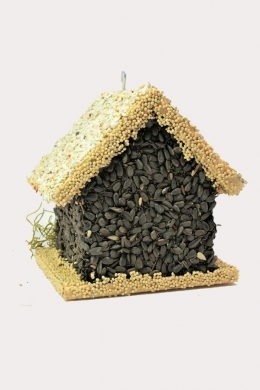 You may notice that birds will push aside other seed in pursuit of the sunflower seed. Sunflower seed attracts Chickadees, Cardinals, Buntings, Gold Finches, Finches and Pine Siskins. Habanero Peppers is on of the more intensely spice peppers of chili peppers. Squirrels are sensitive to the heat of peppers, but it does not affect birds. *CAUTION: Some individuals may have an allergic reaction to peanuts.